While I’m trying my best not to be critical because every home deserves some love, I can’t help but to dedicate some of my posts to the ones gone horribly wrong. Perhaps they’ll serve as reminders of what not to do. Consider my hottie of the week posts as good examples, and my not so hottie of the week posts as bad ones, in the same vein as Glamour dos and don’ts (but for houses). 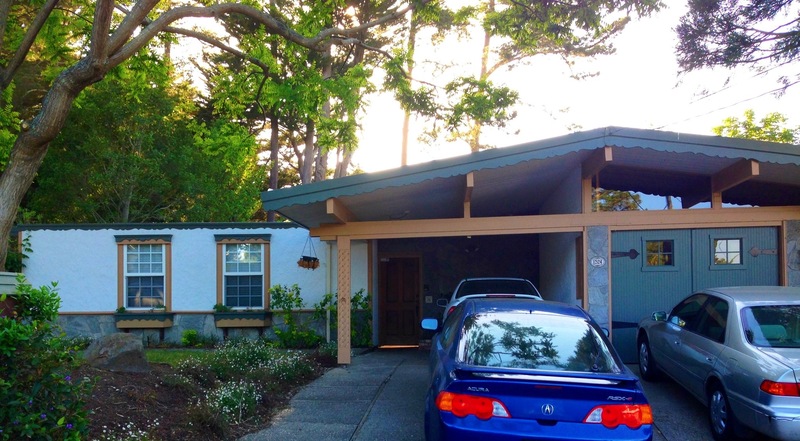 This house is located in the same Eichler community where my friends with the big deck live in the San Mateo Highlands. Don’t get me wrong, there’s plenty of eye candy in the area and many people got it right. This hurts. 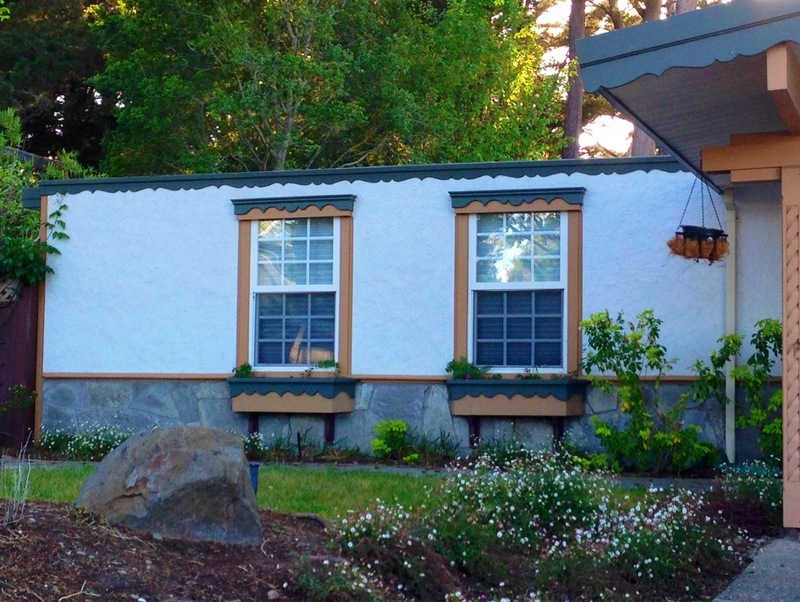 I am baffled at what the owners were thinking in putting up this pseudo Bavarian, Hansel and Gretel-esque facade. This isn’t your typical we-live-in-the-80s-instead-of-the-60s-now disfigurement. This is an outright massacre of the worst kind. 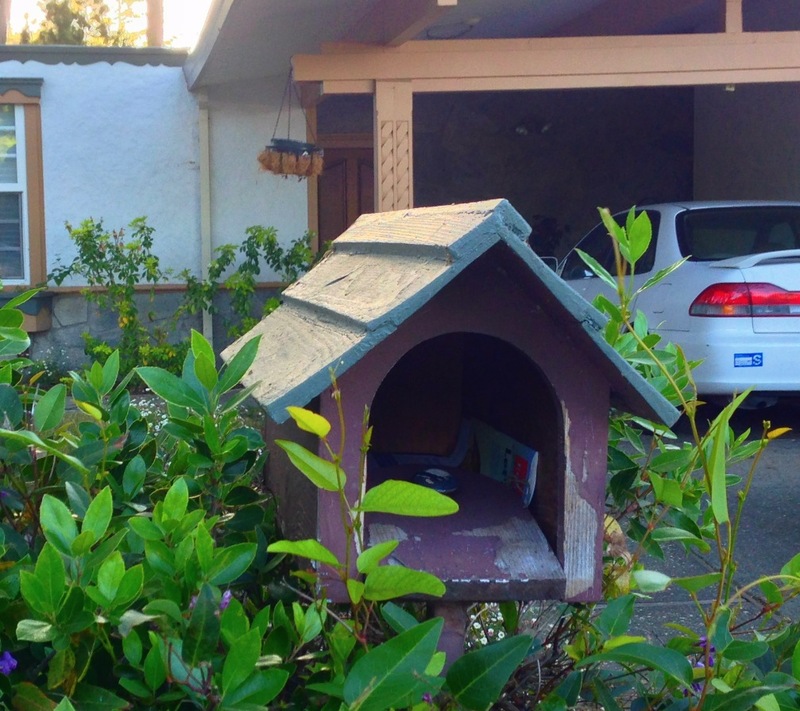 They even added a little birdhouse-turn-mailbox to fit in with the faux cottage feel. I expected Snow White to make an appearance with her entourage of dwarfs and small creatures. Evidence of Eichler’s architectural details can be seen, underneath the scalloped moulding from hell. It probably looked something like this before the perpetrators went off tangent cray with the remodel. I’m really not sure what else to say about this atrocity. But for some reason, I feel an uncontrollable urge to don a dirndl, pop a couple of Ricola and yodel my way into the woods.